Nokia has published its first quarter financial results for 2012, displaying a 1.34 billion Euro ($1.76 billion) operating loss, as net sales of mobile devices declined by 40% year-on-year, with smartphones taking a 51% hit over the past 12 months. In it’s last quarter, Nokia’s net sales hit €7.35 billion ($9.65 billion) which was down 26% on its last quarter, with 11.9m smartphones and 82.7 million mobile devices sold. This was bad news for the company, as smartphone and mobile device sales dropped by 39% and 27% respectively from the previous quarter. Year-on-year, net sales in China fell 70%, in Europe by 35% and sales in North America were down 34%. In the Middle East and Africa they dropped 32% and in the APAC regions, Nokia saw a 28% decline. This also meant that the company saw a 40% drop in net device sales. The company had warned investors of lower-than-expected earnings in Q1, releasing an amended outlook for the key Devices & Services business unit, despite selling over 2 million Lumia phones in the first quarter of the year. It said multiple factors negatively affected the unit ‘to a greater extent than it previously expected’. In particular, Nokia blamed declines in gross margins and ‘competitive industry dynamics’ (which means Apple and Android handset makers are continuing to making the company’s life difficult). It’s interesting to see that Elop points out that it has been difficult to establish momentum in the UK, especially given the fact that the company had originally focused the launch of its new Lumia 800 smartphone and subsequent Lumia 710 and Lumia 610 launches. With 2 million smartphones sold, it’s still a massive way behind Apple and Samsung, after Apple reported nearly 20 times that figure in its last quarter (although it will be releasing updated sales figures next week). 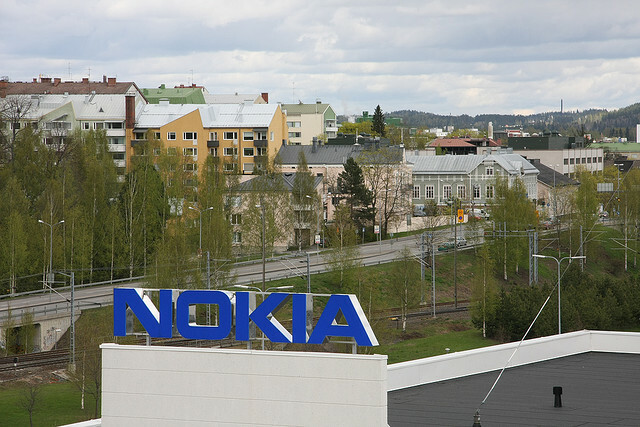 Nokia says that the expansion of its Lumia portfolio to “cover higher and lower price points”, increasing its geographic reach to 45 countries and the launch of the Lumia 900 in April have been encouraging signs for the company. Nokia also collected another 250 million Euro payment from Microsoft, but it hasn’t affected its overall performance as the company stares down the barrel following another dismal quarterly earnings report. Read next: Australian plane aborted landing because its captain was "preoccupied with his phone"